Everyone should know by now cleansing and moisturizing are basic night time skincare steps to follow every night. These are crucial bare minimums, but these two steps are usually not enough. As we age, a good treatment serum before moisturizing can work wonders to fight the signs of aging. 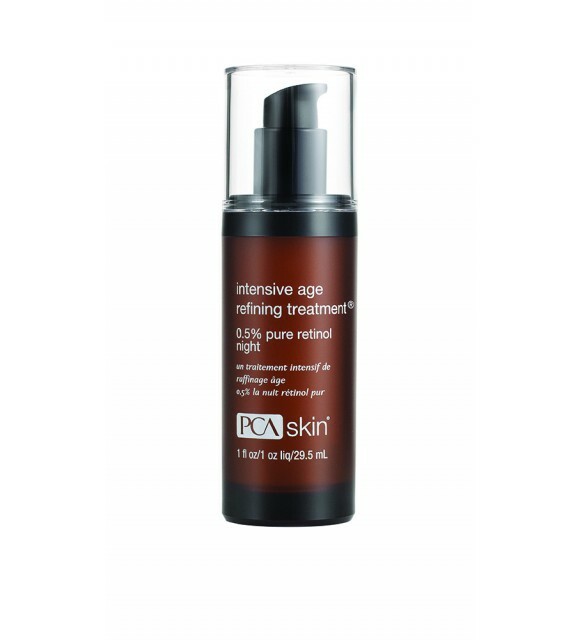 PCA’s Intensive Aging Refining Treatment: 0.5% Pure Retinol Night nighttime treatment formulation combines 0.5% pure retinol paired with antioxidants and a host of beneficial ingredients to hydrate and soothe, while minimizing the appearance of fine lines and wrinkles. Retinol, which is a form of the antioxidant Vitamin A, is converted to retinoic acid in the skin to promote a clear complexion and an even skin tone. Vigna Aconitifolia Seed Extract – is a botanical that promotes a clear complexion and an even skin tone. Sodium Hyaluronate (my universally favorite ingredient for all skin types) has the ability to hold 1,000 times its weight in water, and thus plays an important role in skin hydration. Combine these ingredients, and more, into a nighttime serum, and you have an extremely powerful addition to your nighttime skincare regimen. Wow. Fantastic facial by Diane! We recently moved to California and I've been looking for a great esthetician. I read many Yelp reviews about various Skincare providers before deciding to give Diane a try. Thank you Yelpers! Diane responded to my appointment request promptly and followed up a text. Great Communication. Diane did an extraordinary job and my face has not looked or felt this good in ages. My daughter even commented how good my skin looks. In addition to the excellent facial, Diane was kind, courteous and explained everything. She's also a very nice lady. Thrilled. I already booked appointments for my daughters. Are You Sabotaging Your Skin?